It is that time of year again, Seoul is cold and winter has arrived. For travelers coming from warmer climates, this may be a major shock and you may not have the proper winter accoutrements. 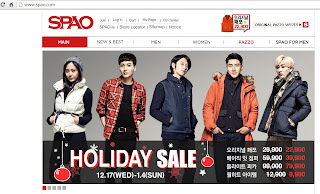 I highly recommend stopping by SPAO for very affordable, reliable, and rather fashionable winter outerwear. I just went to the SPAO website today and I found out that it is now holiday sale season, hich makes their jackets and other clothing an even better value. Even though I was coming from Minnesota, I didn't bring a winter jacket with me for Seoul winter (because they're bulky and I usually leave the US in May, so it doesn't make much sense). I wanted a winter jacket that was going to be cheap, but still very warm and of decent quality. International retail stores always only met one or two of my expectations. For example, Forever 21 is cheap, but is not especially warm and is not good quality. UNIQLO met all three, but I was not sure I wanted to pay about 70 dollars for a padding jacket when I already had a couple at home. And, as an aside, I can't believe how expensive North Face and Columbia jackets are in Korea. I was speechless...I thought I would just buy an updated version of my old jackets, but I was super wrong. 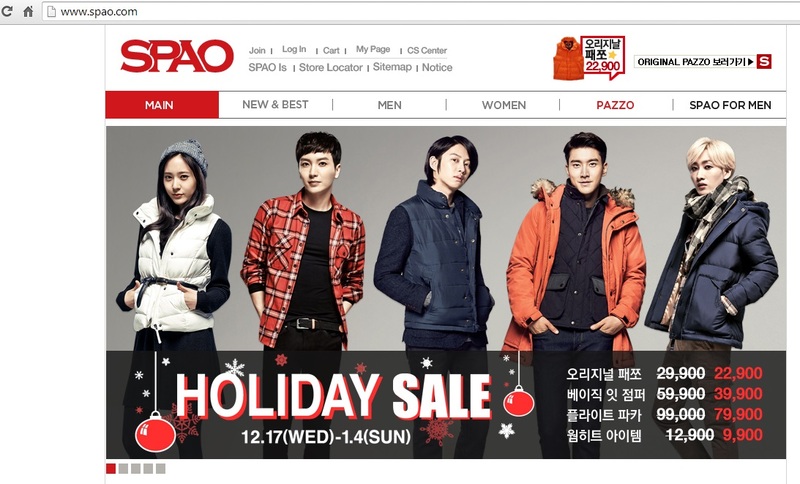 I decided to check out SPAO. My foreign friends were talking about it because SNSD (Girl's Generation) and Super Junior were the spokespeople for the brand, and they wanted to see if you can get free KPOP posters or something (FYI you can't). I just tagged along one day and we went to the Myeongdong store. I found what I was looking for and the padding jacket (puffy down jacket) was very inexpensive, it was only 49,000KRW (this was back in 2010). I ended up bringing the jacket back home to Minnesota with me and to all of my other travels since then and the jacket is still in good condition and is warm enough. So, if you want some real Korean outerwear that will survive more than 2 seasons, or even if you just want a cheap jacket to help you survive a short vacation in Korea, I highly recommend these jackets. From Myungdong Station exit 6, go to the first street and turn left. You will pass Who A.U. and Mango and SPAO will be on your left, bright by the Sky Park Hotel.